As a child learning the game of basketball it is important to learn how to do the fundamentals correctly. 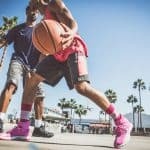 Not only are basketball hoops for kids effective tools to develop a child’s basketball skills, they are also a lot of fun for the whole family. Growing up I remember playing games of HORSE and one-on-one with my dad (I always won of course). This activity was something we could both enjoy while inside the house. Another great aspect of basketball hoops for kids are that because of their smaller size they take up less space. 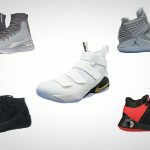 The list below contains what we feel are the best basketball hoops for kids based on two categories: Complete mini hoop systems (backboard, rim, and base included), and mini hoops that hang on your door. We wanted to make sure the hoops we have listed are affordable, durable, and rated well by others. Features are also a big deal when it comes to these mini hoops. 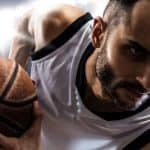 Looking for innovative ways enjoy the game will only enhance your basketball experience. 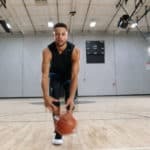 The Fisher-Price I Can Play Basketball hoop for kids is a great option for your beginning hooper. This hoop has several features that make it stand above the rest. It is adjustable in one foot increments from three to six feet in height. It comes with a mini basketball so that you can get to playing right away. 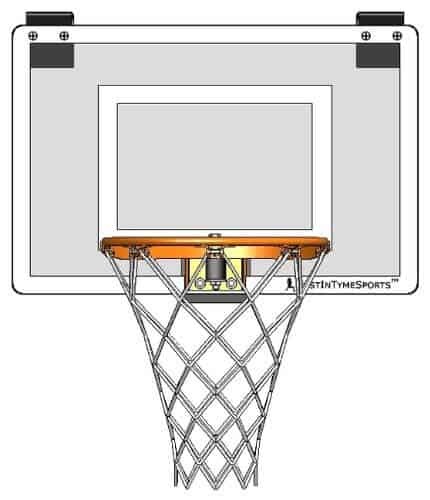 There is an attachment that can be hooked onto the rim so that ball will be returned to you when it goes through the hoop. With a base that holds fifty pounds of water or sand you can be sure that this hoop will stay in place. 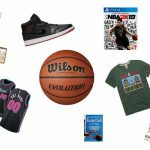 Of the basketball hoops for kids in this list the Lifetime Youth Portable Basketball System is designed for slightly older children when compared to other options such as the Fisher-Price hoop above. This hoop can be adjusted from five and a half feet to seven and a half feet in six inch increments. This hoop is also a little more durable with a metal rust protected pole and ten gallon base. The rim for this hoop has a diameter of fifteen inches. This hoop also has a no-break backboard so that your youngster can do the high flying dunks they see on TV without worrying about breaking the system. 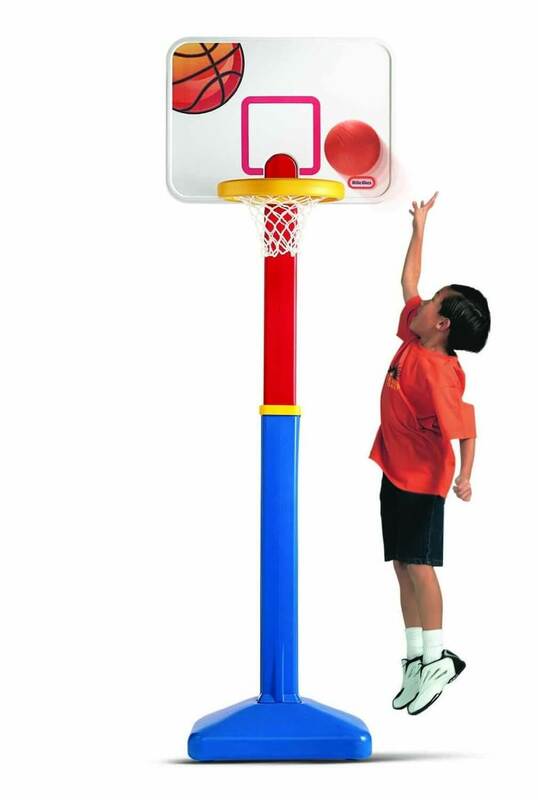 The Little Tikes Adjust N Jam Basketball Set is a great basketball hoop for kids. This hoop is adjustable from four to six feet. The rim is breakaway to improve durability and ensure the safety of those who are playing. The great thing about this unit is that it designed for both indoor and outdoor use. There is a base to this hoop that will need to be filled with either sand or water. A junior sized basketball comes with this basketball hoop so that you can get the action started right away. 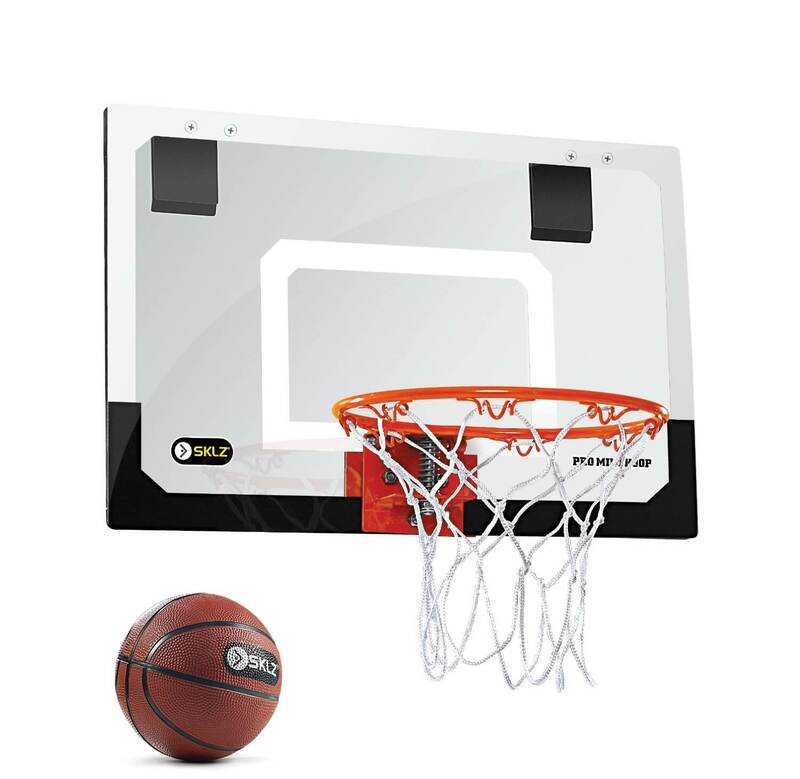 Our top selection for mini basketball hoops that hang from a door is the SKLZ Pro Mini Basketball Hoop. This hoop has a lot of fantastic features including a polycarbonate backboard and spring action breakaway rim which means this hoop can take all kinds of punishment. The door mounts are foam sided so to minimize the beating that your doors sustain while using this hoop. Whether this is for your toy room, office, or dorm room, this hoop is a great choice. 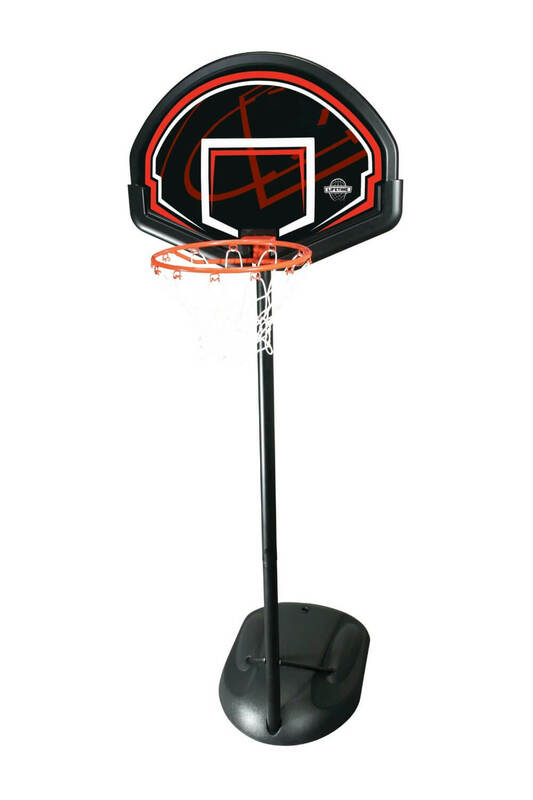 Another one of the great basketball hoops for kids is the Spalding NBA Slam Jam Mini Basketball Hoop. 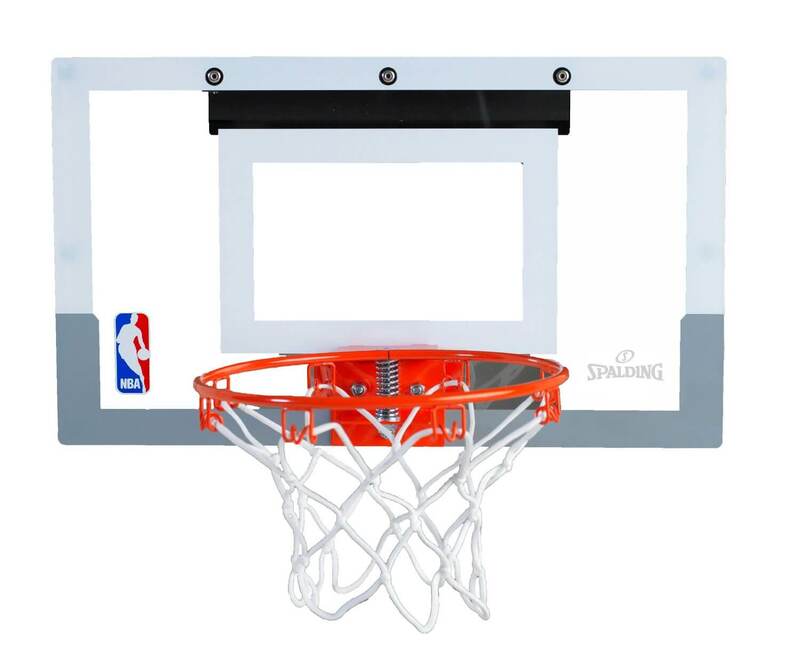 The breakaway rim is similar to the one seen on the SKlZ hoop above. This hoop comes with a mini basketball which means that games can start when the hoop arrives at your door. This Spalding hoop also provides padding on the mounts so that the only thing getting scuffed is your arm from slammin’ and jammin’. This hoop is actually a 1/4 replica of an official NBA basketball hoop which can make your child’s dreams seem that much more real. Our final listing can definitely can hold its own in the mini basketball hoop game. The Mini Pro Door Mount by JustInTymeSports features a 9″ Real break-away rim with our JustFlex2(TM) spring technology. Also included is a nice 5″ basketball to go along with this high quality door mounted hoop. This hoop is highly durable and there are claims that this little monster can handle slams by 180 pound men! Get ready for a dunking fiesta with this heavy duty mini hoop.